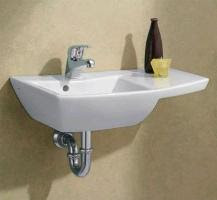 Check out some of these five-star product reviews on a few of Vintage Tub’s top quality wall mounted sinks. "I remodeled a very small half bath and this sink was perfect. The ease of ordering from Vintage Tub & Bath to the direct shipment and installation could not have gone more smoothly. 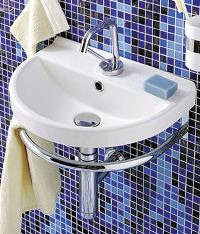 The sleek design of this sink certainly gives a modern feel to the bath. I would definitely recommend." "I love my new sink. Great quality. The installation was a little tricky because it was so small but that was not the problem with how it was manufactured. A great choice for my tiny powder room. Shipped very quickly." "I came across this website in search of a better price for a much-needed wall mount sink and I found it. 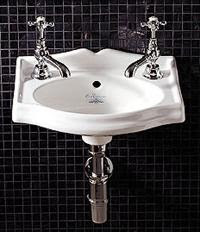 Whitehaus is a great brand and this little sink was perfect for my even smaller bathroom. The product was in stock, ready to ship, and arrived very quickly (and the free shipping is awesome) with no issues. I will order again from here and definitely recommend them. No issues at all!!!"